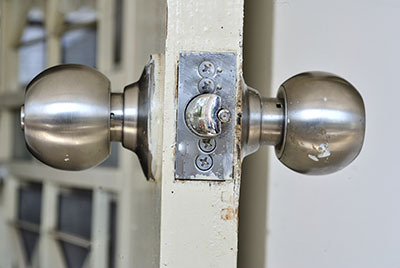 Blog | What to Do When the Doorknob Is Loose? Our door and car locks are essential for us because they provide us with the safety we (and our families) need so much. Choosing a quality door and lock can be of the utmost importance regardless of who you are and where you live. And yet, sometimes, no matter how careful you are in choosing the right product and no matter how well you maintain your locks, you can still encounter a variety of problems. Most of the problems related to locks should only be dealt with by a professional locksmith. However, there are certain cases you can fix the problem on your own as well (or at least if you are fairly good with a variety of technical issues and the ways to solve them). * Hold the knob on the side of the door where it is not loose and turn the loose part of the knob in a clockwise direction until it fits well. Then, tighten the screw until it is resting against the spindle (its flat side, actually). * You can also loosen the setscrew you will find on the door knob shank. * If neither one of these two solutions work, you can try removing the knob. However, keep in mind that if the entire lockset is worn, you should replace it completely and not just the spindle itself – and in this case, you should call a professional locksmith to take care of everything. As mentioned before, most of the problems related to locks and doors can only be fixed by professionals who are properly trained in the field. While trying the solutions mentioned above is safe, make sure that you do call in the pro as soon as you feel that you don’t know what to do! It is much better to be safe than to be sorry!